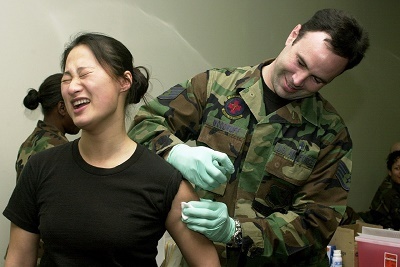 Health risks vary from country to country and expats will have to expect vaccinations-related requirements before they can relocate overseas. The main goal is to prevent sickness that might cost one more than getting a simple vaccination. In Australia, no vaccinations are necessary but highly recommended are shots against Hepatitis A and NHMRC routine vaccines for influenza which are given only to paediatric and geriatric patients being the ones with the weakest immune systems. There will be area-specific vaccine recommendations such as diphtheria and tetanus. This requirement is expected of a country that seeks to protect its residents against sicknesses. Aside from vaccinations, there are preventive measures expats may take as recommended by the government of Australia. Since most health risks, all minor, are related to mosquito bites, measures that prevent mosquitoes from spreading diseases such as insect repellents and protective clothing can go a long way in protecting people. The most important recommendation the government can make, however, is for one to follow a well-balanced diet that includes a healthy daily water requirement to make sure the body has enough fluids to flush out toxins. Expats are also advised to obtain international health insurance which can provide coverage for healthcare services, not under Medicare. Nothing can be more rewarding for expats in Australia than to live in a healthy country. Obtaining vaccinations before you travel can not only save you money but can boost your health as well.